It's clear by now that the number one roadblock to crypto adoption is education. Just like it was in the early days of the internet, it's not so simple for the average person to tap into the advantages of crypto assets, nor are the advantages even clear to everyone at this point. I remember well the great debate about the usefulness of the internet that raged throughout the 90s. 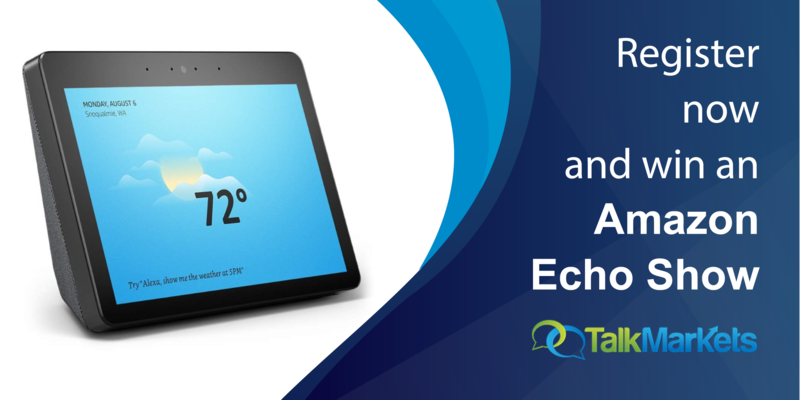 It wasn't really until the invention of the smartphone, the pocket version of the internet, that everyone truly realized the power of the tool we've created. For my new year's resolution in 2019, I've decided to commit to creating more educational content for crypto beginners and to raise the level of awareness about the emerging asset class. 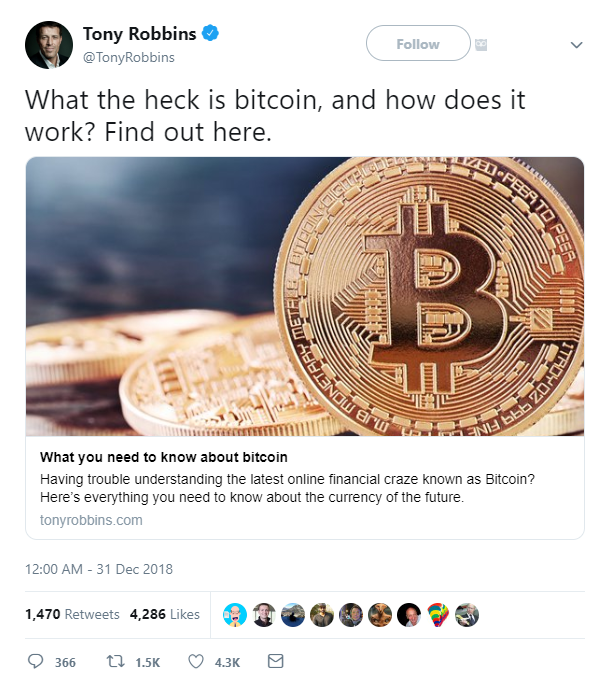 In the past few days, we've seen exceptional examples of this from Time Magazine, which put out an excellent article stressing the benefits of decentralized money and from Tony Robbins, AKA America's Life Coach, who put this out for his three million followers. Still, the new year hangover hasn't yet completely worn off. It won't be until Monday that markets really return to full strength. The New York session may prove exciting, though. As we saw last week, low volume trading can often turn volatile, especially as we head into the 12th day of a partial government shutdown. 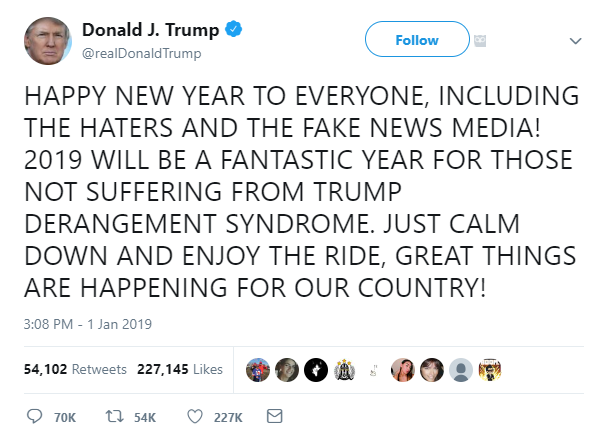 President Trump's all caps new years tweet also carried what some have interpreted as a hidden message for the financial markets. The US President's reassurances have done very little for investors this morning though, who do seem to be erring on the side of caution.